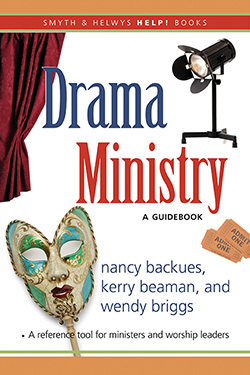 Drama Ministry: A Guidebook is a one-stop manual for starting, directing, and managing a drama ministry. Lay leaders who have no formal drama training will glean from the authors 25+ years of drama training and experience. Even those leaders who are experienced in drama will benefit from the practical insights in managing and leading a team, including how to organize a practice and how to ensure team members regularly attend rehearsals and memorize their lines. In addition to drama technique, you will also gain valuable leadership tools for managing your ministry. Ten original sketches are also included to get you started. Nancy Backues has over fifteen years of experience in church drama ministry during which time she has directed groups that have ministered in weekly services, monthly outreaches, and special traveling ministries. She has conducted numerous workshops on drama ministry and leadership training. Nancy lives in Springfield, Missouri, with her husband, Steve, and daughter, Olivia. Kerry Beaman has been involved in practically every area of drama ministry in her almost twenty years of ministry experience. She has directed over thirty major productions, led drama groups of all ages, and conducted workshops in drama technique and directing basics. Kerry lives in Republic, Missouri, with her husband, Ron, and children, Devon and Kendall. Wendy Briggs has written for drama productions for more than twelve years, has served as costume designer for several major productions, and has extensive directing experience from small sketches to traveling drama groups. She has conducted workshops in script writing, script adaptation, and directing basics. Wendy lives in Springfield, Missouri, with her husband, Jay, and daughter, Inara. This text is more than a drama handbook. 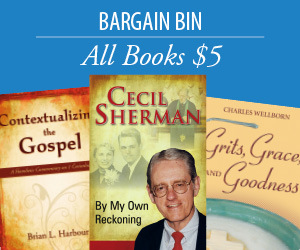 It teaches effective leadership skills, fosters discipleship, and encourages teambuilding. It is an easy to use tool that sets it apart. A must have for those who want to build relationships and be involved in personal evangelism that speaks to today's generation.